¡Bienvenido a Miami! Elite Plastic Surgery founder and Medical Director Moises Salama, MD sought to create a website as spectacular, stylish, and memorable as the famed Magic City. 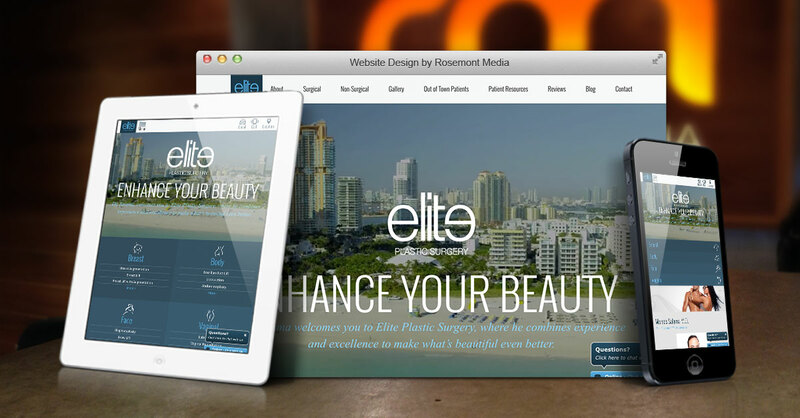 With the help of Rosemont Media’s discerning crew of developers, designers, and writers, the responsive website offers visitors a show-stopping experience, complete with a streaming video header on the homepage and a curated selection of alluring graphics. The attention to detail is carried through to custom-designed landing pages and carefully crafted original content (no templates to be found). Prospective patients can review the material, skim through the before-and-after gallery, and set up a consultation (in-person or virtual, for those traveling from afar)—all from the convenience of their personal laptop or smartphone. Other notable features include a review portal, for instant submission of patient testimonials, and a comprehensive resources section to help individuals properly prepare to achieve their aesthetic enhancement goals. If excellence is what you’re after, check out www.epsmiami.com to get a taste of what Rosemont Media can do for your medical practice.